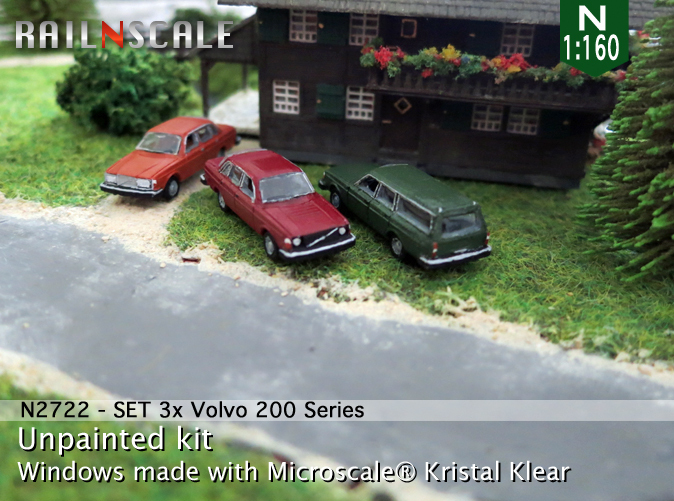 For over a year we have been modeling cars and scenery products for N scale layouts that are made by using 3D printing technlogy. 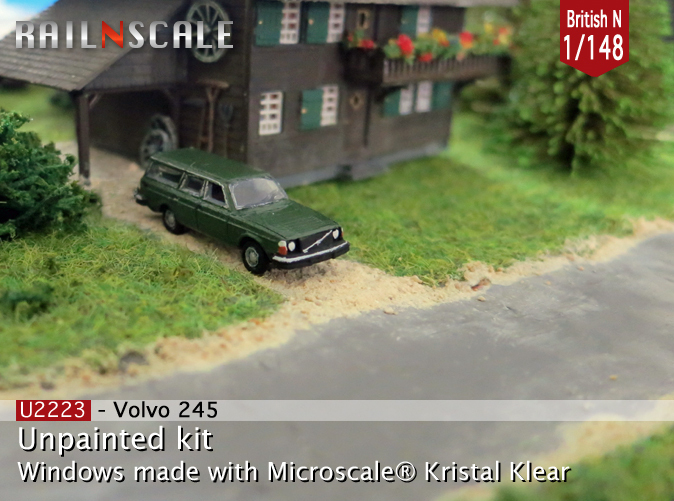 By this it is possible to create niche models. We would like to show to you some models. The model is very richly detailled with e.g. 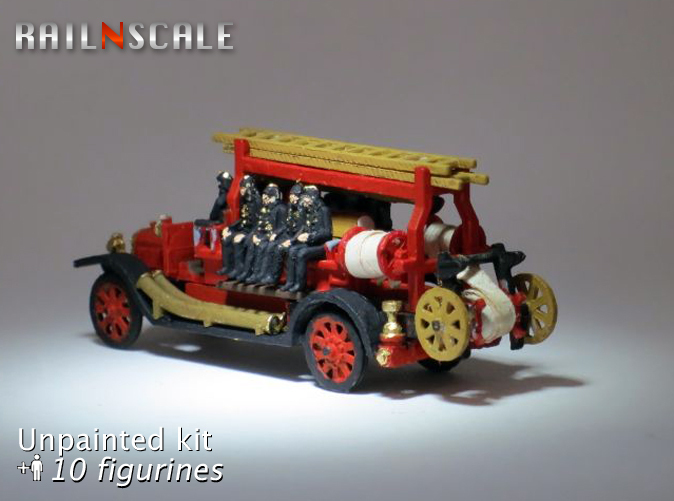 rotatable reels, ladders, bell, chain drive, spoke wheels and couplings and nozzles for the fire hoses. 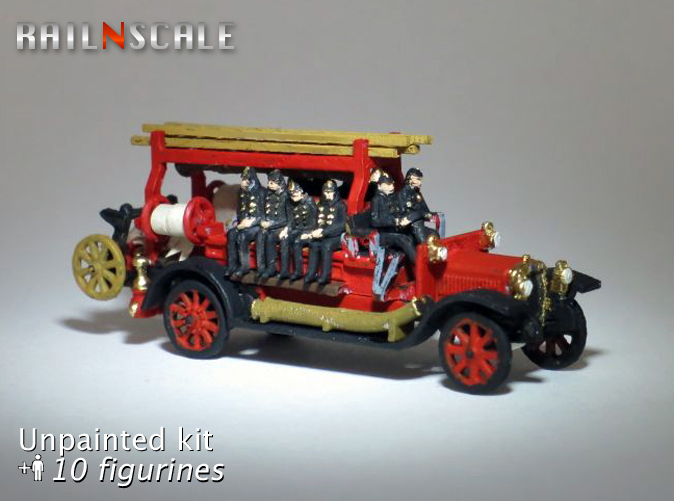 The kit also contains a crew of ten members. 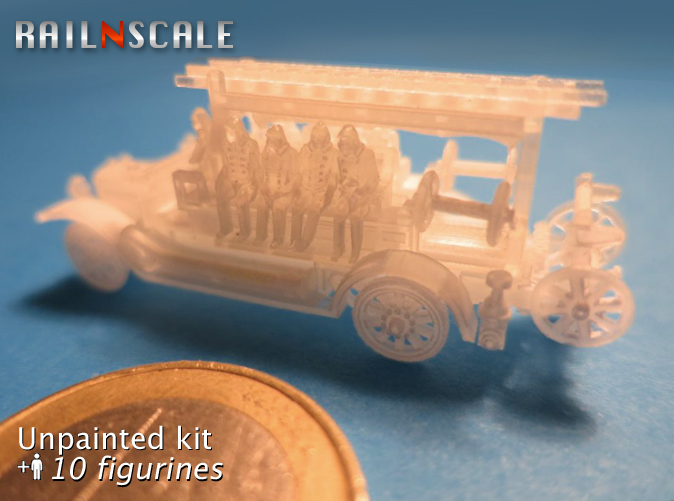 The SAG consists of 14 unpainted parts. 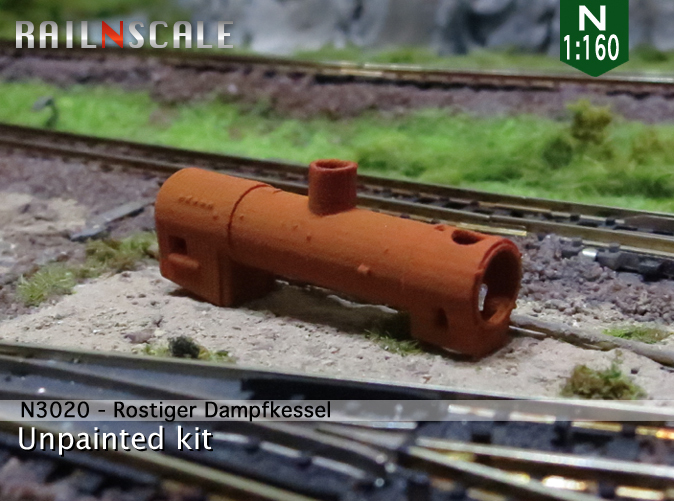 This allows proper painting the kit and possibly modification of the kit. The same model without crew is available under product number N2032. This time I would like to highlight some of our scenery models that are printed in White Strong & Flexible material of Shapeways. 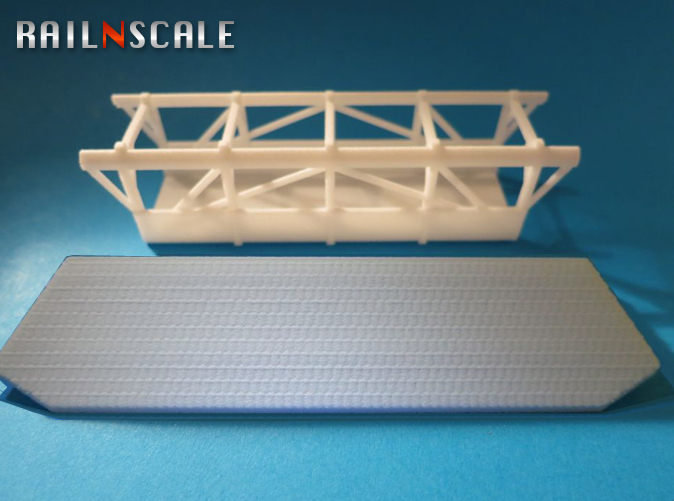 This material is not the most detailed 3D print material, but it is very durable and suitable for bigger constructions. 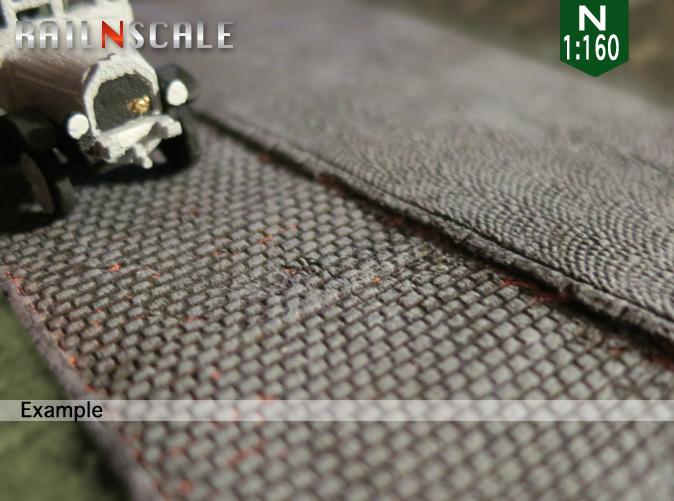 Also products that in reality have a rough surface can be printed perfectly in this material. 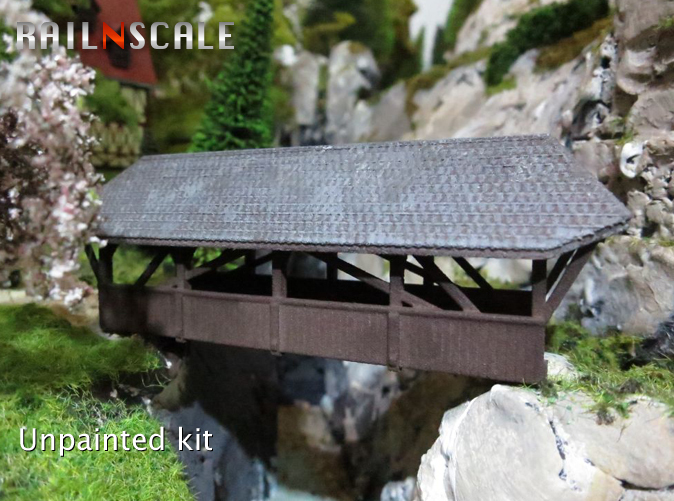 Covered wooden bridges were from the late Middle Ages to the late 19th Century widespread in forested areas of North America and Europe. The bridge is modelled in Swiss style. Similar bridges can also be found in other European countries and in the US. The bridge is available in three different lengths (80, 119 and 68 mm). Sometimes you can find such boilers in museums or steam depots. 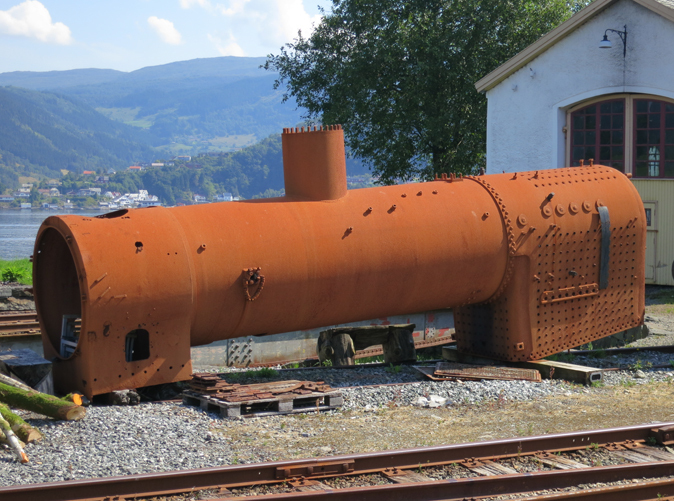 The model is a replica of the boiler standing at the depot Krøderbane in Norway. 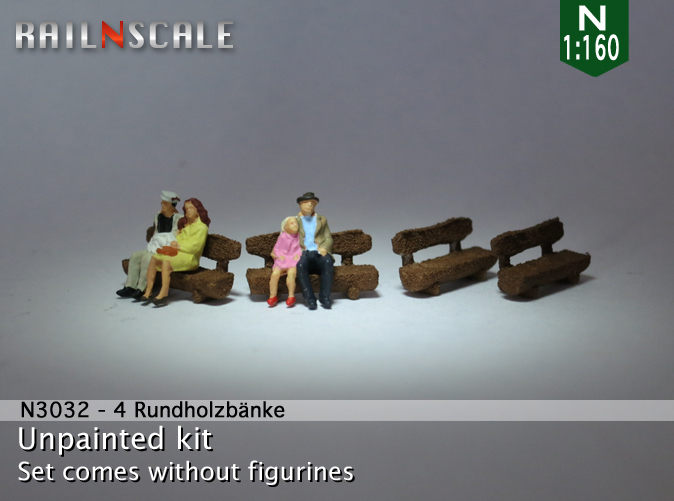 The benches are supplied without figurines, who happen to sit perfectly on it. I got the road marking template, good stuff. I would love to see some of your road markings. 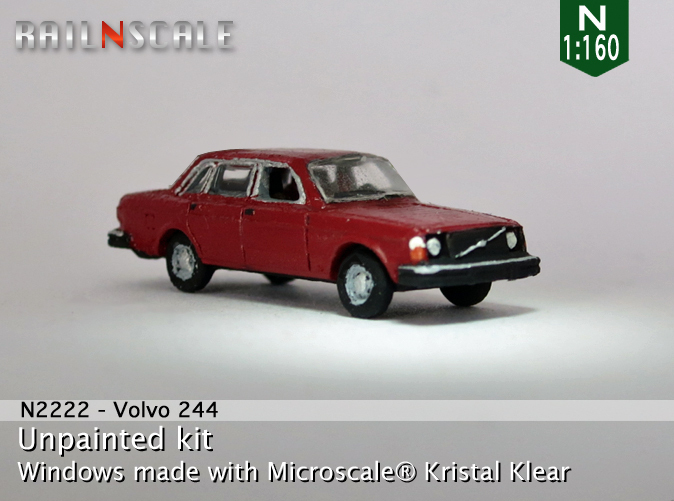 Our latest novelty is the Volvo 200 Series. I've always liked those Volvos. Nice to see them in N! Ed K .. you need one of these ..
Oh Frack! 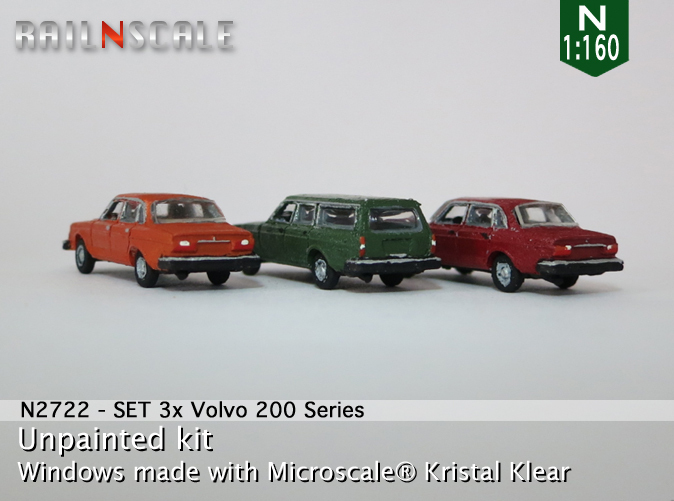 Between these Volvos and the due cast 544s I found on the Internet, all I need is a '67 122s Amazon two door to recreate my childhood. 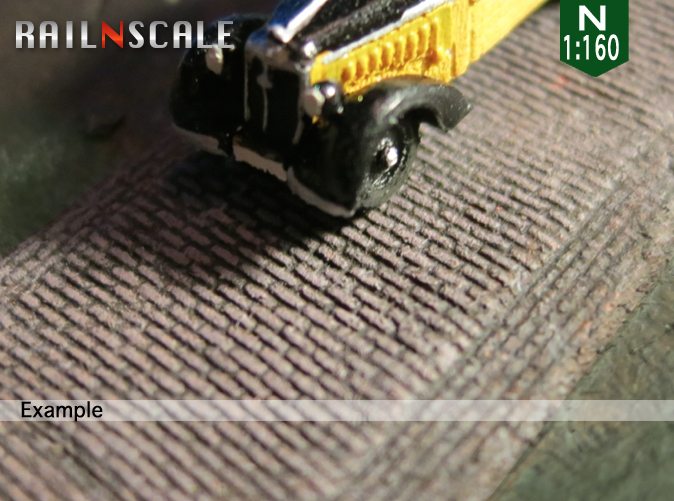 RAILNSCALE is the designer of various street paving tools such as paving stamps and paving rollers. 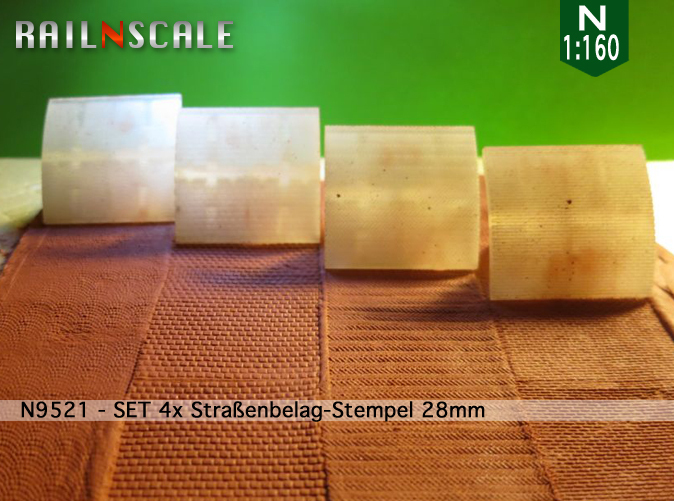 With these stamps you can easily build clinker and stone paving roads. 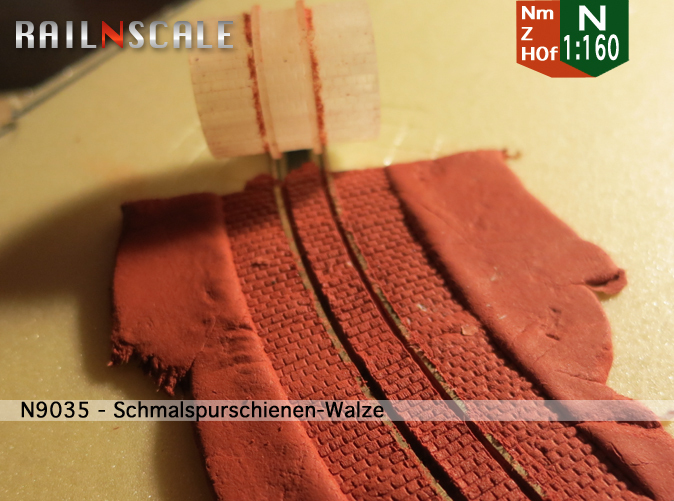 Role DAS modelling material and print the desired road pattern in the wet clay. The stamps are 28mm wide and in four different patterns (stretcher and herringbone bond, and rows and arc paving). 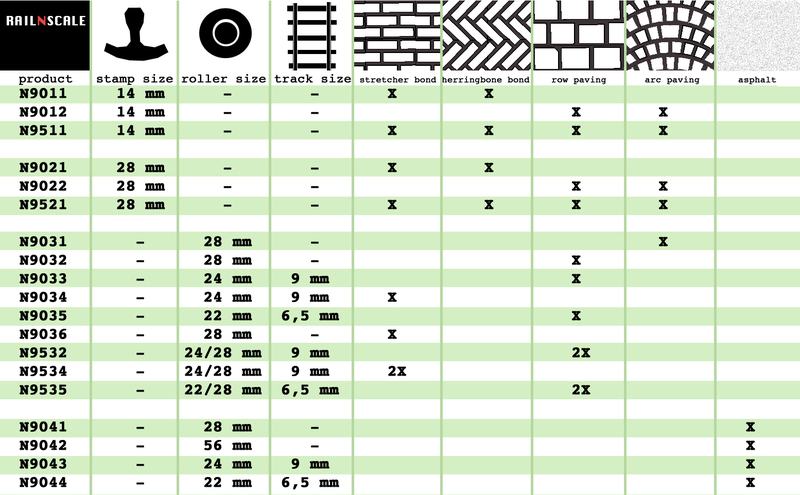 With these rollers you can easily build stone paving roads. 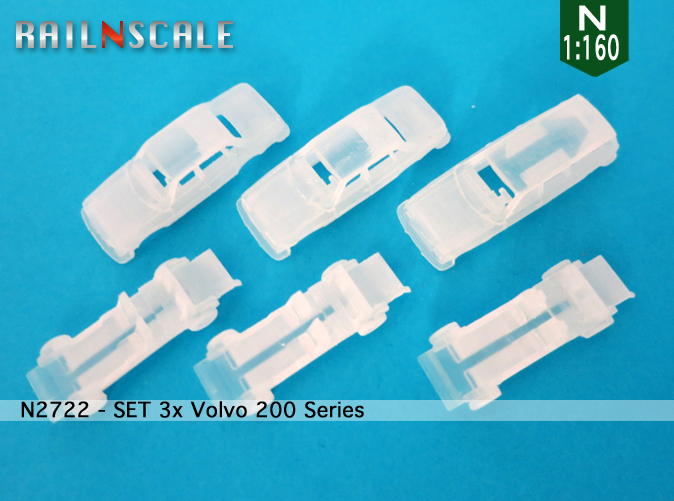 One roller is 24 mm wide and designed for standard N-gauge 9 mm rail roads for making pavements between the street car rails. 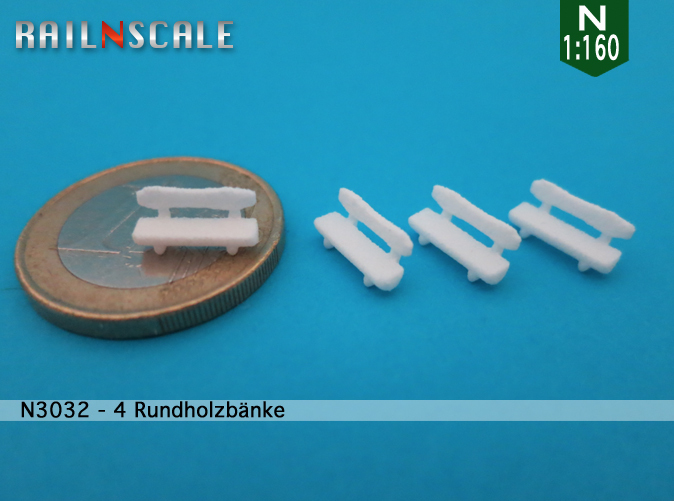 Also a roller for narrow gauge Nm or Z-gauge 6,5 mm is available. The other roller can be used for ordinary roads. Role DAS modelling material and print the desired road pattern in the wet clay. Four different patterns are available. With this rollers you can easily build asphalt roads. Unique to this role is its fine structure. Therefore the road gets a real asphalt look. The rough surface also simplifies painting of the road. Role DAS modelling material and print the desired road pattern in the wet clay. Oh man, I missed the Volvo announcement! My old car!!! I love it!!! 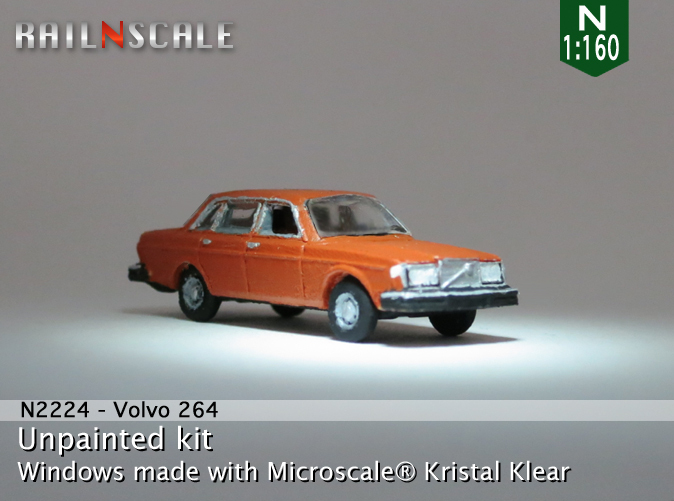 Although, any chance you could do the slightly later versions (with the larger sealed beam headlights)? I had a 1990 245DL, and I'd kill to have an accurate one of those. If not, I'll go for the older ones, but I'd be ecstatic over the newer one. 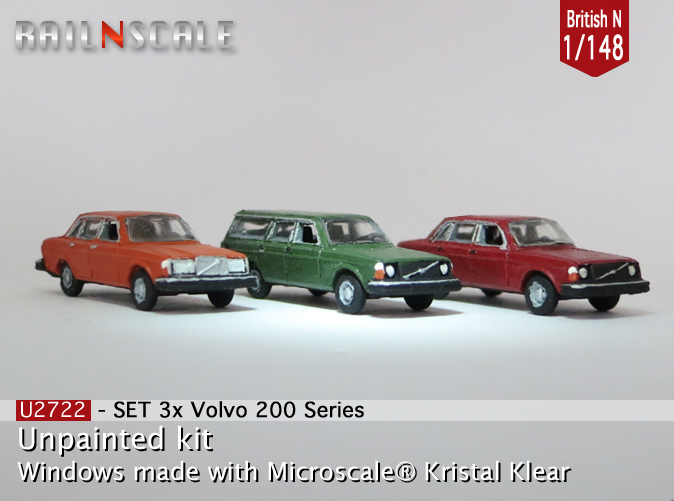 Now to get the Volvo 240 series and convert them to a 1982 245 DL and a 1982 242 GLT, both with the raised hood of the 264 but quad sealed beam headlights. 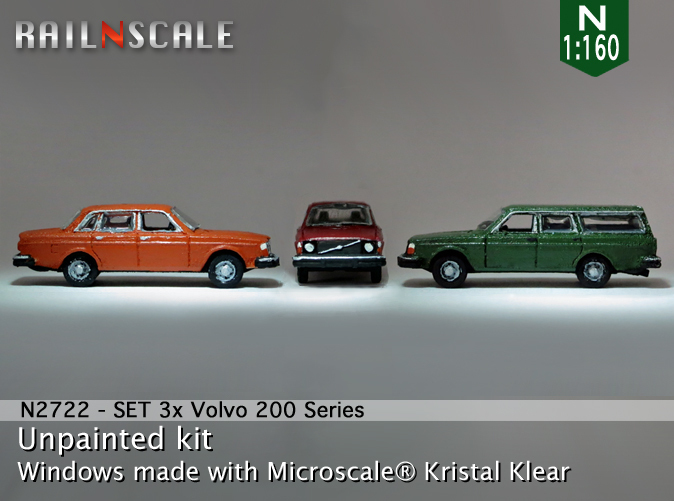 These are the two cars we still have - over the past 30+ years we have 5 Volvo 240-series cars, all in the 1981 - 1983 range. Then I need a 1972 Datsun 510 station wagon, a 1960 Sunbeam Alpine and a 1947 Hillman Minx and my entire automobile ownership history is covered! 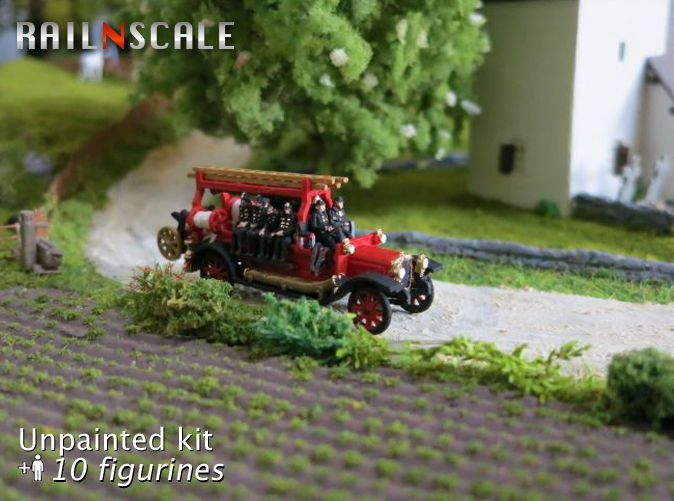 The British 1:148 scale puts me off. I have some of that scale vehicles and they look huge next to 1:160 vehicles. The Volvo will be the size of early 60 Lincoln Limo. 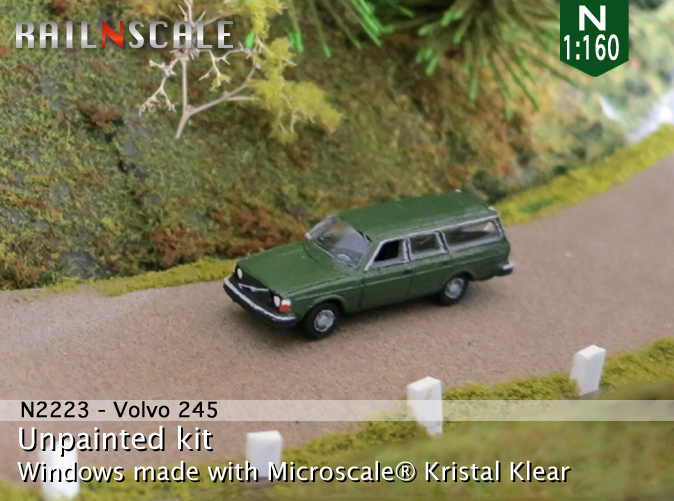 Maybe it will look ok by itself somewhere on the layout but next to 1:160 cars it will look really odd. These are 3D printed. Why not make 1:160 version available too? 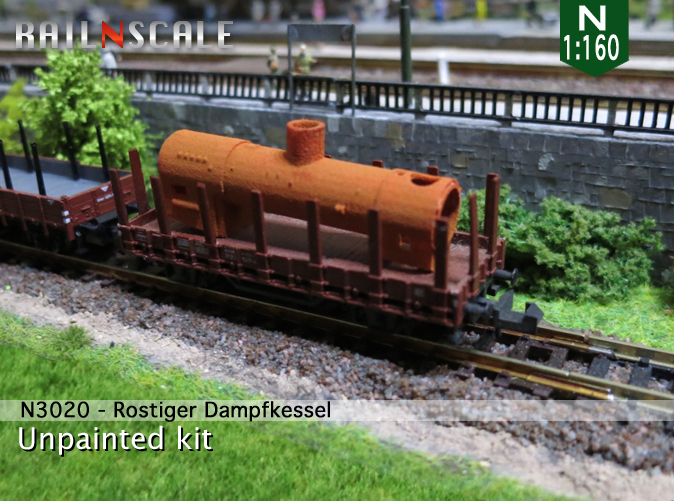 The maker seemingly offers both-- some of them must be for the British N market, but unless I missed something all t he designs are also available in 1:160 as well (look a the top right banner). Ah, OK, that's good! Thanks!